Work on the Celebration Statue is nearing completion and plans are in place for the ten foot bronze statue to be unveiled in New Square, West Bromwich on Wednesday, May 22. The Celebration Statue – created by sculptor Graham Ibbeson – represents ‘art in action’ as Laurie Cunningham, Cyrille Regis and Brendon Batson celebrate a goal being scored. 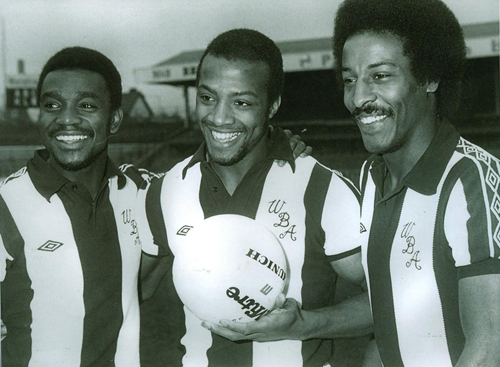 The late Laurie Cunningham and Cyrille Regis with Brendon Batson. The location of Celebration Statue is also of great significance as it will be sited in the heart of a multi-cultural community where it will be seen by a large audience with around 200,000 people visiting the New Square Shopping Centre on a weekly basis.